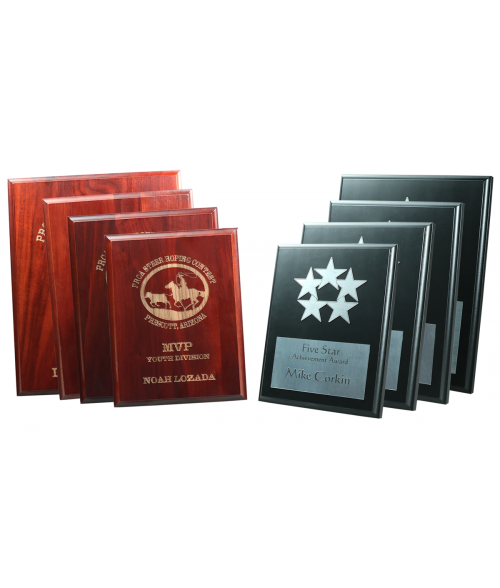 The Sculpted Edge Plaques are made of solid cherry wood and feature a Cherry or Ebony finish. The classic edge profile has a scalloped shape that frames the engraving. Available in 7" x 9," 8" x 10," 9" x 12" and 10.5" x 13" sizes.